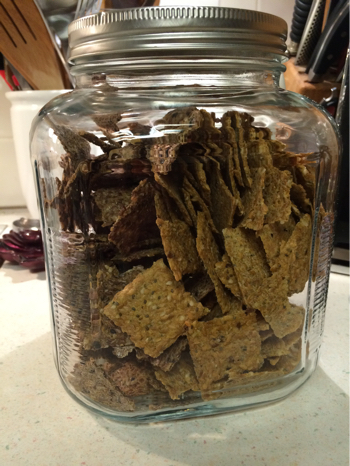 Summary: This is a variation on our favourite fast and easy dehydrator crackers. It is just as fast and easy, but different enough to deserve it's own recipe page. 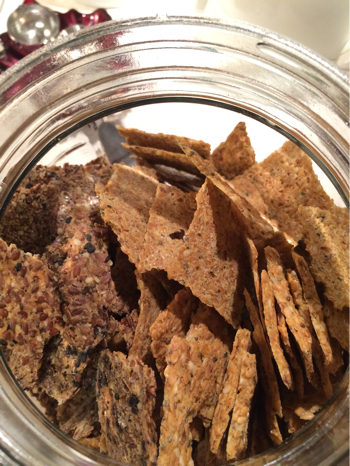 This is a variation on our favourite fast and easy dehydrator crackers. It is just as fast and easy, but different enough to deserve its own recipe page. This recipe calls for maple sugar, but you could just as easily use date sugar or coconut sugar, or even regular vegan sugar. It only calls for a tablespoon of the sugar, so these are not sweet. 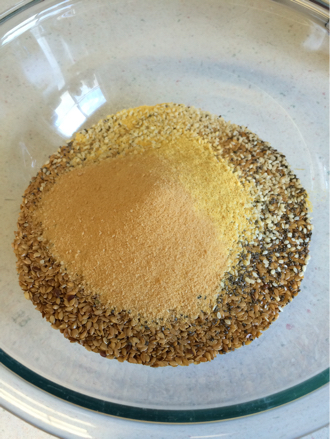 Put all of the dry ingredients in a bowl and mix with a whisk until well blended. Next, stir in the water, and mix it well. The mixture will seem very soupy, but wait until you see what it does in the next five minutes. Ladle mixture onto dehydrator trays covered with Teflex sheets or parchment paper (do not use wax paper or aluminum foil). Quickly spread the mixture as thin as you want it. 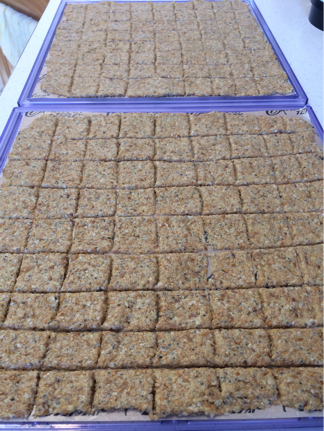 This recipe makes exactly two full dehydrator trays for an Excalibur dehydrator. After spreading the mixture on your dehydrator trays, let it stand 5 more minutes. This is important, so that it firms up just a bit more, making it easier to score the crackers, so that they will break apart nicely when they are done. When they are done, break the crackers apart, and store in an air-tight container. These are truly among the best raw crackers we’ve had. They have a fantastic texture, are incredible for you, and are so easy to make! Read Next Article » Instant Pot Crisp or Cobbler that Just Happens to be Vegan and Gluten-Free!